Pavla Models has released numerous update sets for many aircraft kits. 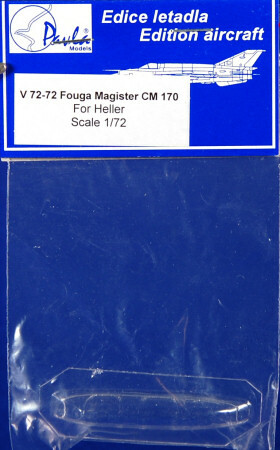 This vacuumed formed canopy is for the Heller 1/72nd scale Fouga Magister CM 170 kit. The canopy is nice and thin and features good canopy frame lines. It should be a direct replacement for the kit part. My sincere thanks to Pavla Models for this review sample.